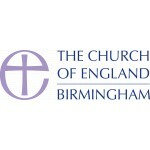 We are praying for an enthusiastic, caring and innovative priest to lead St Mary’s in worship, discipleship and community engagement in this fast developing south western suburb of Birmingham. The church is committed to a Gospel of inclusivity, welcome and embrace. We are outward looking and a place for all in society to find comfort, healing and spiritual nourishment. Be committed to inter-faith dialogue and work ecumenically with other Christian churches and non-Christian institutions in the parish. St Mary’s benefits from a committed Ministry Team of two SSMs and a Reader and from a strong tradition of lay leadership and volunteering. Selly Oak has long been a centre for educational, medical and faith-based institutions. The parish offers the new incumbent extensive opportunities for community engagement and partnership. St Mary's Selly Oak.Parish Statement.Final version.March 2019.